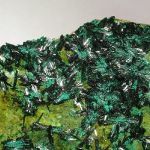 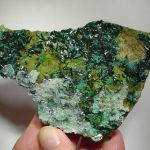 An excellent cabinet combination specimen richly covered with lustrous atacamite crystal pinwheels and flat gypsum blades. 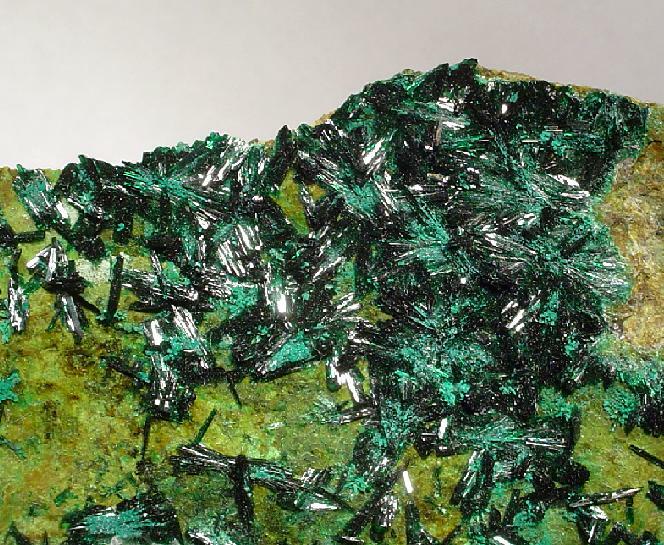 The scintillating, gemmy, dark emerald-green radiating blades nicely compliment the lighter green needles on this specimen from the Type Locality region - the La Farola Mine in the Atacama Region of Chile. 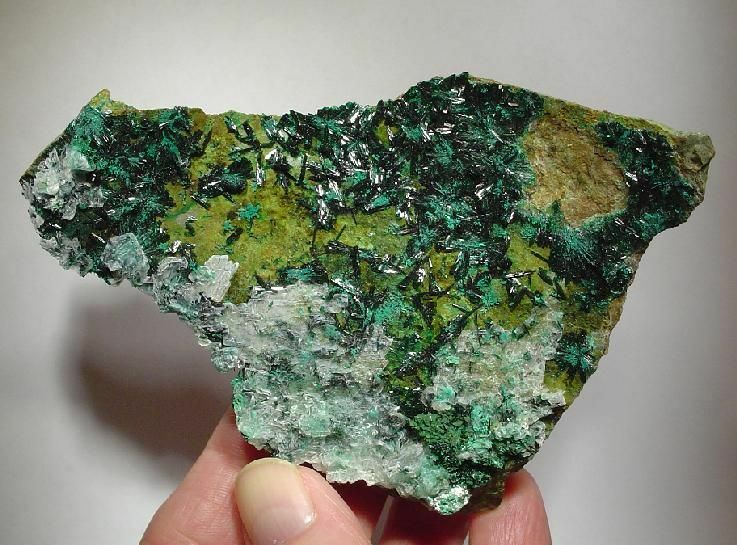 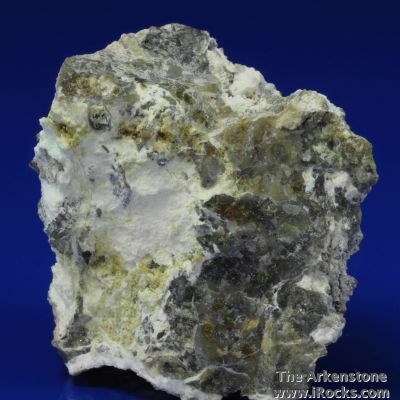 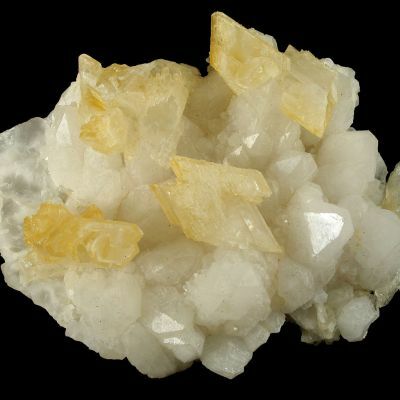 This is a very fine example of this copper chloride species in combination with gypsum and well-known locale.